Wednesday May 16th the Canadian Moose depart from Pearson Airport Terminal 3 in Toronto on Iceland Air at 9PM for a 3 hour flight to Keflavik Iceland. The teams arrive in Iceland on Thursday the 17th morning at 6AM local time, which has a 5 hour time difference with Toronto. 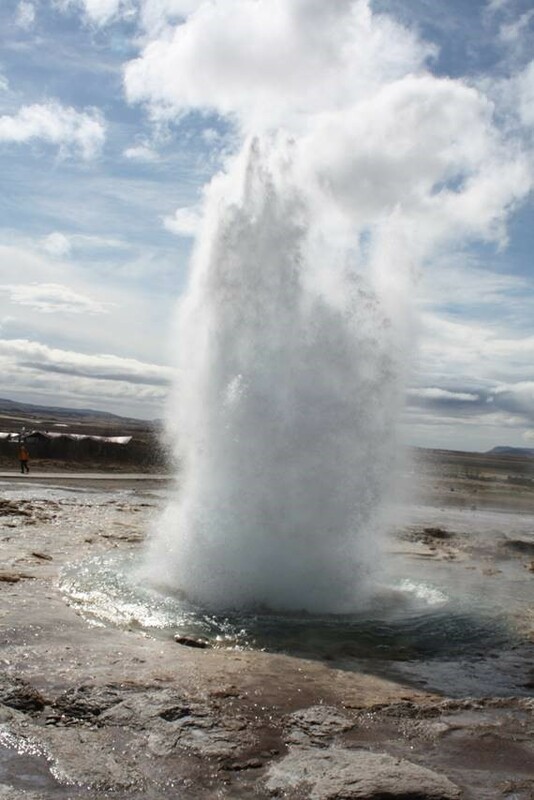 At 9AM we begin our touring with the Golden Circle tour, visiting the Strokir geyser which sends a plume of water into the air every 4-8 minutes. We will also be visiting Gullfoss (Golden Falls) and finally move into Thingvellir National Park where the North American and European tectonic plates meet! We check in at our hotel at 2 PM in Reykjavik. We will have time to explore before our team dinner at Tapas Restaurant, a multi-course meal that will entice those who are seafood lovers! The meal is at your own cost but we do receive a group discount. At noon Friday we depart by bus to the northern city of Akureyri, fourth largest city in Iceland. We arrive in Akureyri in the afternoon to check into the hotel and get dinner (again, at your expense). The Black Men’s team plays at 9PM against the Akureyri Old Boys, the women play at 10 against the Akureyri Women and the White Men’s team plays at 11 against the Vanir Old Boys. Saturday is a free day to explore Akureyri, with games beginning at 4PM The two men’s teams meet each other at 4, with the Moose Women playing the Akureyri Women at 5. Moose Black play Vanir at 6, followed by a mixed mens and women’s game with an Akureyri mixed team at 7. The Moos White team plays again at 9 in the final game for the day. There will be an evening social after the games and the chance to enjoy the nightlife. Akureyri is a city of about 17,000 people sitting at the end of a 60 mile long fjord, with part of the townsite almost at sea level and the remainder of the town at the top of the hillside. The hill is fairly steep and is a great way to stay in shape by climbing. Across the street from the hotel is a geothermal pool that operates year round. The hotel serves a hot breakfast buffet every day included. Sunday morning after breakfast we being a tour at 10AM to Godafoss (known to some as the wall from Game of Thrones), Lake Myvatn and Dimmuborgir (towering castles) lava formations. We will be taking a team photo at Godafoss so please remember to bring a jersey! Once again games begin at 7PM with a bronze medal game for the men’s teams, followed by an 8PM game for the women and the men’s tournament final at 9PM. There will be a farewell social and awards handed out following the final. The team leaves Akureyri on Monday May 21st at 10AM by bus. The first stop is back at Blue Lagoon with an evening flight home. We arrive back in Toronto at 6PM. Weather in Iceland can be with average daytime highs from 7-10 and lows of 0-4. There will be an average of 16-17 hours of daylight every day in late April. Local currency is Icelandic Krona. The exchange rate is 8,600 ISK in exchange for $100 Canadian dollars. Most places will take credit cards, but it isn’t a bad idea to have a few krona for small purchases. Also, keep copies of receipts because you can get tax refunds at the Keflavik airport – you can get details at most stores in Iceland. If you want to apply for a Global Blue Card (which may be able to reduce the cost of taxes at time of purchase) you can get one at globalblue.com. And don’t worry about language, most Icelandic people are fluent in English. Iceland uses a type C electrical plug. You can get adapters at the Source for a cost of $5-15 dollars or at most department stores, electronics stores and other retailers. Bell and Rogers both offer Roam like Home travel plans for $10 per day with a very limited amount of data and unlimited texting. Please check with your service provider for details. There are approximately 40 people coming along on this trip. For newcomers, it is often much easier to put a small bag inside your hockey bag carrying your clothes for the trip. Use as few bags as possible – space is often at a premium on the buses when there are over 30 sets of hockey equipment on board. And sticks will be combined into two or three stick bags at the airport for those meeting at Pearson. I will have Moose Iceland patches available to give to each of our opponents and nametags for everyone. The Iceland patches and Iceland flag patches will be available for anyone wishing to get them. The catalog of Moose gear can be sent along to you if interested in Moose Clothing. Payment of the balance of the $2,290 total cost is due by March 1st in preparation of the trip. Please contact Mark Sadgrove for payment details. And if you haven’t already done so, please send along your name as it appears on your passport and your birthdate to Mark as soon as you can. This is required to make the final preparations for our group travel. If you have any questions, please contact Mark Sadgrove!